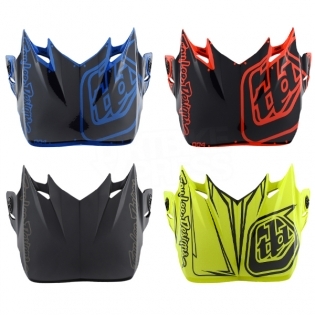 Troy Lee Designs SE4 Polyacrylite helmet peak is suitable for use with a variety of Troy Lee Designs SE4 models! If you have crashed or just need a spare peak we have the answer. This genuine Troy Lee Designs replacement peak will fit your SE4 helmet all you need to do is choose your finish below and get ready to race!